For the design of the high-profile corporate headquarters, KBJ referenced such historical references as the Colosseum and the Hippodrome. The building’s long, processional colonnade leads to the office/executive area at its head, and is surrounded by three separate support areas. At the extreme end of the axis is the location of the displayed Lamborghini. The 12,000 sf service area is fully air-conditioned and has a chemically resistive coating on the floor. Within the service area is a full re-manufacturing/ paint prep/paint booth area. It has gantry cranes and 4 wheel dynamometer. The warehouse distribution area is 32,000 SF. It incorporated a specialty loading/unloading area which allows the vehicles to be received and shipped in a 60 degree angle within a shipping container. 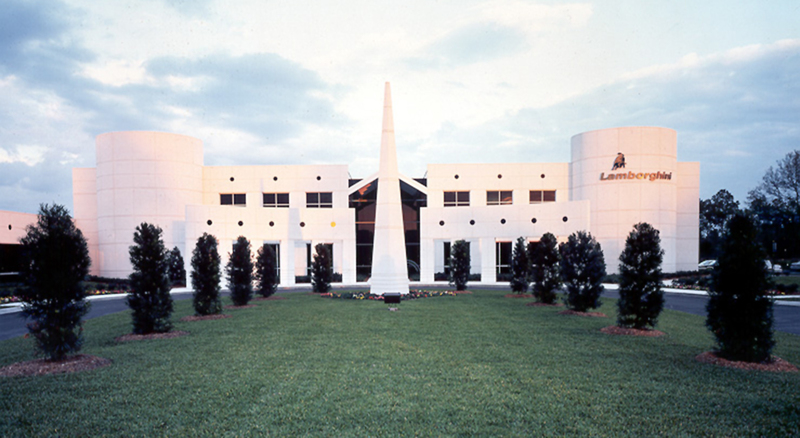 The 12,000 sf executive office space was designed with the Lamborghini image and employee security, as well as the distribution office. 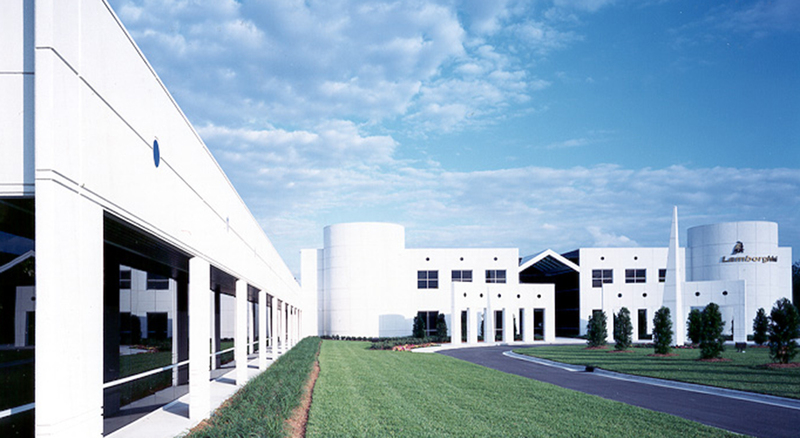 White painted concrete with 1” x 1” deep rustications was chosen to give the structure a stable, timeless, classic look and the basis of geometry and abstract erosion of the dominant features gives its modern futuristic look.